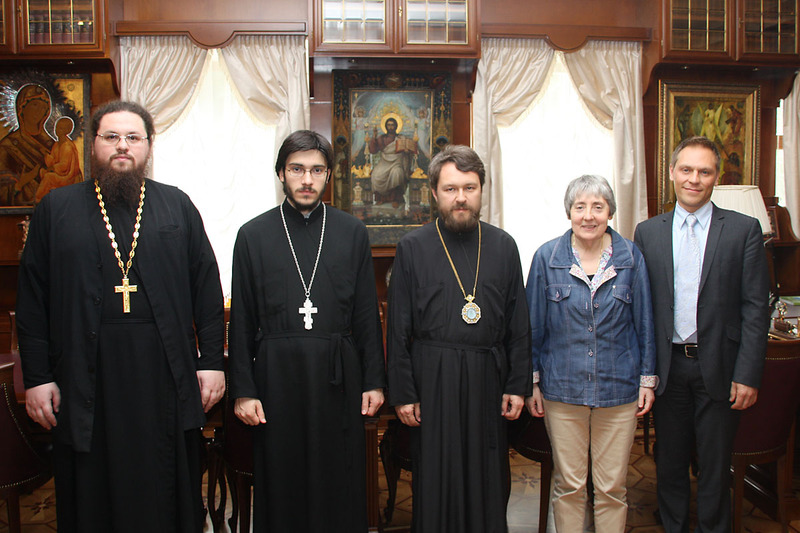 On June 18, 2013, Metropolitan Hilarion of Volokolamsk, in his capacity of rector of Ss Cyril and Methodius School of Post-Graduate and Doctoral Studies, met with Prof. Julia Gonzalez, President of the international Tuning Academy. They discussed prospects for projects to be carried out together with the ROC School of Post-Graduate and Doctoral Studies. Metropolitan Hilarion told Prof. Gonzalez about the present situation in higher education in the Russian Orthodox Church and the difficulties encountered in Russia today by theology as academic discipline. Prof. Gonzalez presented the history of the development of the Tuning methodology and its wide practice in various universities in the world. They also considered possibilities of using the Tuning methodology for developing mechanisms of comparison of the Russian Orthodox educational programs and their recognition by universities in other countries, as well as accreditation agencies and quality control associations. They outlined practical steps to be taken in the nearest future for realization of the agreements achieved. In particular, the sides expressed mutual interest in establishing an international Tuning theology center in Russia.